It’s corporate suit vs professional grifter on Pandora. Bandits, killer robots, brutal flora and fauna… the wasteland of Pandora would have little to recommend it, if it wasn’t for those enticing hidden Vaults. Ambitious Hyperion company man Rhys and Pandoran con-woman Fiona team up – unwillingly – to recover a stolen fortune and the promise of a Key to one of the legendary Vaults. Rhys and Fiona have one good reason to work together and absolutely no reason to trust each other. Together they’ll face betrayal, extortion, bandits, gangsters and the corrupt Hyperion Corporation. How they react to these obstacles – and how their choices affect the people and world around them – is up to you. 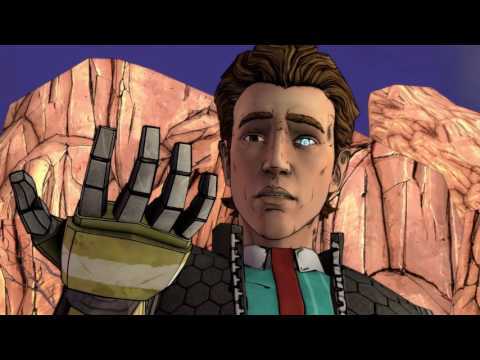 Your decisions will shape a new episodic Borderlands epic.